Some of the best funk and soul singers from the last 40 years and for sure one of the best Tanzan Music releases ever. The featuring artists were chosen based on who "An Apple A Day" themselves are fans of and were all specifically paired up with songs that would suit them best. The album received great feedback and has been included in the BBC Radio playlist. "Yes We Can" features the vocal talents of: Abdominal, BluRum13, Lee Fields, Tyra Hammond, Rhiannon Giddens (Grammy Award Artist), Ria Currie, Lyrics Born, Glen David Andrews, Naomi Shelton & The Gospel Queens, Michelle David, Kylie Auldist and Richard Roundtree. 15 tracks Blues Rock project produced by Marco Tansini with the partecipation of several guests, female singers, gospel choirs and so on. This album received great feedbacks. Some of the tracks have been featured as editor choice awards in one of the most important American licensing company. First full length album from the Italian guitarist Ricky Ferranti is a journey within American music and culture, covering rock, blues and country. 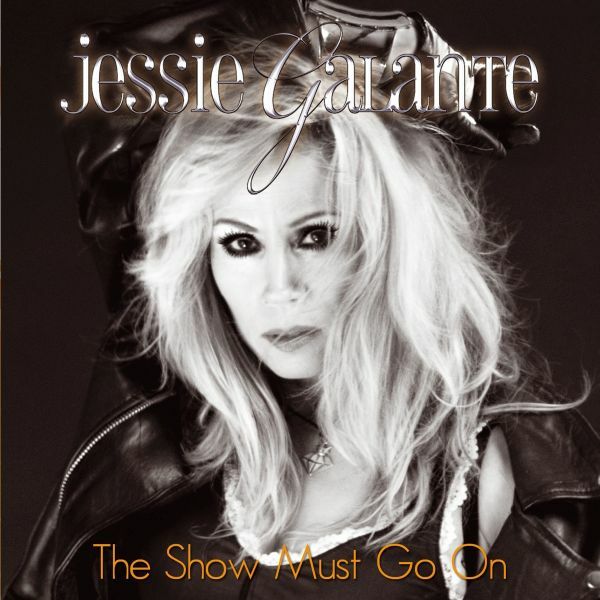 The cross-continental produced CD "The Show Must Go On" takes soul rock singer Jessie Galante on new journey in honor of late husband double platinum producer Larry Swist.Beautifully orchestrated "The Show Must Go On", utilizes live strings pulsating throughout the track, culminating in huge Queen like choruses and featuring Jessies glorious vocal performance. The title track of "The Show Must Go On" is the story of singer Jessie Galantes relationship with husband and producer Larry Swist and their story of love, life and music.The full-length, 11-track album release, "The Show Must Go On" was recorded in various cities and countries from NYC to Rome including one track in Italian. The album embodies a universal flare of many genres, all embracing Galantes distinctive soulful voice. Her performances shift from a soft sensual emotion, to hair-raising thunder, all at a moments notice. Galantes singing career and Swistss extensive music production history, laid the foundation that created "The Show Must Go On", their final, but magical journey together.To support that voice, double platinum producer Larry Swists (Spyro Gyra, Chuck Mangione, Lou Gramm, Tina Turner) production is augmented by a high-profile international team of songwriters, performers, producers and mixers: (NYC) Jack Daley-bassist (Lenny Kravitz, Joss Stone); Rob Bailey-guitarist (Anastacia) and guitarist Marc Ribler (Mitch Malloy, Lee Aaron). From LA, mixing several tracks is 14 time Grammy-award winner Mick Guzauski (Daft Punk, Eric Clapton, Michael Jackson, Madonna). BELIEVE is the debut album by Giulio Garghentini, singer of Dream Company, one of the most well known Bon Jovi tribute band in Europe. Ten tracks of authentic music blending all the influences and styles of this eclectic singer and front man in one single album. The songwriting is a result of soul, passion and musical creativity. The collaboration between Giulio and Mario Percudani (Hungryheart, Mitch Malloy, Axe, Issa) has resulted in an album of killer tracks covering rock, blues, funky and much more with an eye always open towards melodies, intensity and great energy, also in merit of the contribution of musicians like Apollo Negri (Link Quartet, Wicked Minds), Gianni Grecchi (Blueville, Rusty Miles) and Paolo Botteschi (Hungryheart) in the arrangements and in part of the songwriting. Black World is the second full length by the Italian Hard Rock band Homerun, after the success of the debut one "Dont Stop". One of the songs has also been used for a web Blackberry spot. Hungryhearts second album is one of our best sellers too. "This album does not only top their debut, it takes HUNGRYHEART to a whole new level; One Ticket To Paradise features 12 Songs that have everything a Melodic Hardrock fan could wish for: impellent grooves, rocking guitars, catchy melodies and big hooklines. In tradition of their role models, consisting of the great Melodic Hardrock Bands of the 90s such as Bon Jovi, Whitesnake, Journey and Giant, just to name a few, along with some sleazy influences and the sense for catchy tunes, HUNGRYHEART definitely rock your hearts and ears" (Melodic Rock Magazine) Produced by Mario Percudani, mixed by Alessandro Del Vecchio and Mastered by Michael Voss. Among others, Nicolò Fragile (Gotthard) and Alessandro Del Vecchio himself appear as special guests in this album that brought the band to play 2 european tours. "Together" is the first studio album by InLine. A blend of fusion and jazz rock for the new century, recorded live in the studio to underline the incredible musical feeling that makes this band unique! The idea behind InLine's music, a mix of genres such as soul, rock and fusion, is to make catchy and enjoyable a kind of music often said to be hard to listen. The incredible musical skillfulness of each member contributes to the creation of an organic sound where many influences melt together into something unique and new. TRACKLISTING: 01. Intro 02. Start Line 03. Thirty Five 04. Groove. 05. Together 06. Pure Energy 07. Traffic 08. My Easy Dream 09. Smoky Vibes 10. Mr. Brown S Door 11. Together (instrumental)"
Paolo is recognized internationally as one of the most important and influential players of this legendary instrument. "An intoxicating style of "pop fusion" putting the jazz/rock dynamic into accessible form, simultaneously challenging and groovy, thatll earn you IQ points or let you simply chill as your lifes moment requires. "Hello World" is an inspired adventurous ring in the substantial Apollo orbit that has pulled to it fellow travelers: soulster Noel McKoy (James Taylor Quartet) and paranoiac Bob Harris (Frank Zappa Band)"
First solo album of Mario Percudani, guitarist of Ted Poley, Jim Peterik, Axe, Mitch Malloy and many others. Co-produced with the well-known Italian producer Marco Tansini and mastered by Greg Calbi (J.Taylor, L.Kravits, B.Springsteen, etc..) at the Sterling Sound Studios in New York City, the album was distributed by Sony Music in Germany/Austria/Switzerland and received very great reviews from the the magazines and webzines all over the world. Debut album of the young talented guitarist and singer Nic Polimeno. The album has been recently presented in a tv show by RAI tv, the Italian National TV. This month he will be featured by Fireworks magazine and Chitarre magazine, the first Italian guitar magazine. 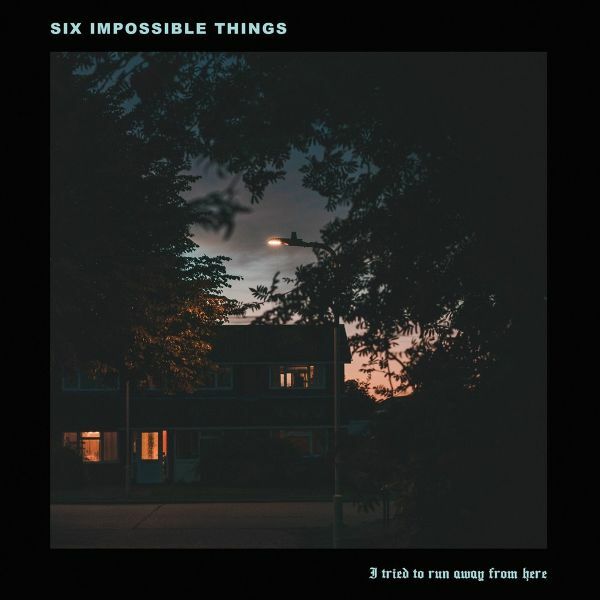 Tried To Run Away From Here... but I still care too much about that window.The new Six Impossible Things EP is mainly written by Lorenzo (guitars/vocals) in his bedroom in his parents' house. The heartfelt, yearning lyrics exude vulnerability and every song tells a story. The duo flew all the way over to the UK to dive into the recording of these five songs with Neil Kennedy (Boston Manor, Creeper) at The Ranch Production House in Southampton. 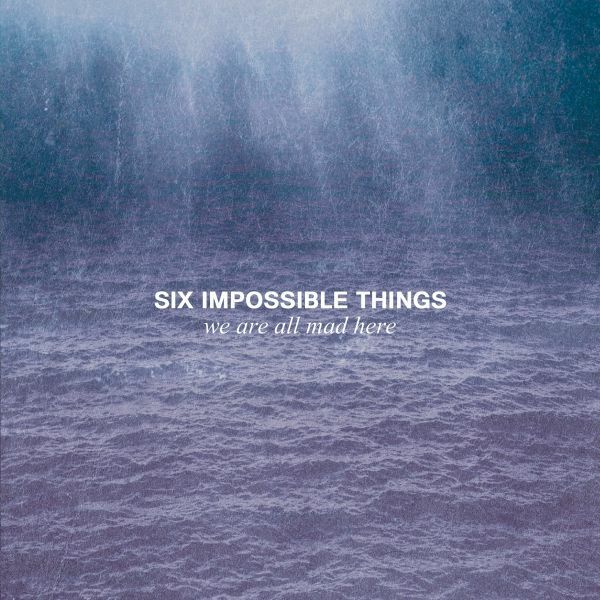 The sound is characterized by clean guitars and big reverbs that give the record a clear Dream Pop direction. The first full length album due to be released in spring 2017 after the single and videoclip "Memory"The acoustic band, produced by Mario Percudani, is full of folk and punk elements mixed with catchy melodies and is mostly influenced by artists such as This Wild Life, Ed Sheeran and James Veck-Gilodi. Smokey Fingers debut album "Columbus Way" is one of Tanzan Musics best sellers. Inspired by the American Southern Rock, merged with blues and country, the album has been considered by most of the media as one of the best southern rock albums of the last years. Five years from the release of "Back to Life", Soul Seller come back with their second album "Matter of Faith" exploring new musical territories and creating a mixture of genres that partially traces 80s melodic rock but also deviates to classic and modern rock, hard rock and prog allusions. The producer Alessandro Del Vecchio took the best out of the band and led it to the sound the members had in their minds. A team work that allowed again to achieve a powerful and solid album with a clear sound. Forth album of the American songwriter David Stockdale. Thanks to the artistic production by Marco Tansini, Dark Riders marks an artistic and musical evolution of the singer from Santa Barbara. Blues Garage by the guitarist and very well known italian producer Marco Tansini is a journey into the Blues and all of its shades and contaminations, represented here by different colours. Less than one year from the release in digital format via Tanzan Music of the I.F.O.R. project with the single "We Still Rock", the italian melodic rock and AOR scene comes back with a great compilation of unreleased tracks finally available in cd format, a true and unquestionable collectors' item for all the fans of today's melodic rock sound with roots in the classic style of the golden era of the genre. 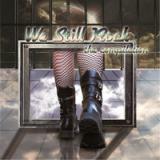 "We Still Rock - The Compilation" is a collection of unreleased and re-visited tunes coming from some of the most renowned artists of the italian melodic rock scene, conceived by an idea of the No. 1 website for this kind of music in Italy (Melodicrock.it), and born in support of "A Melodic Rock Night", the cool mini-festival scheduled in Padova on October 1, 2016 @ Grindhouse Club.Very special guests for the compilation the acclaimed british based melodic rockers Vega, real headliners of this one-off italian show from their "Who We Are" european Tour 2016.